Its not wacky, its Cackalacky! 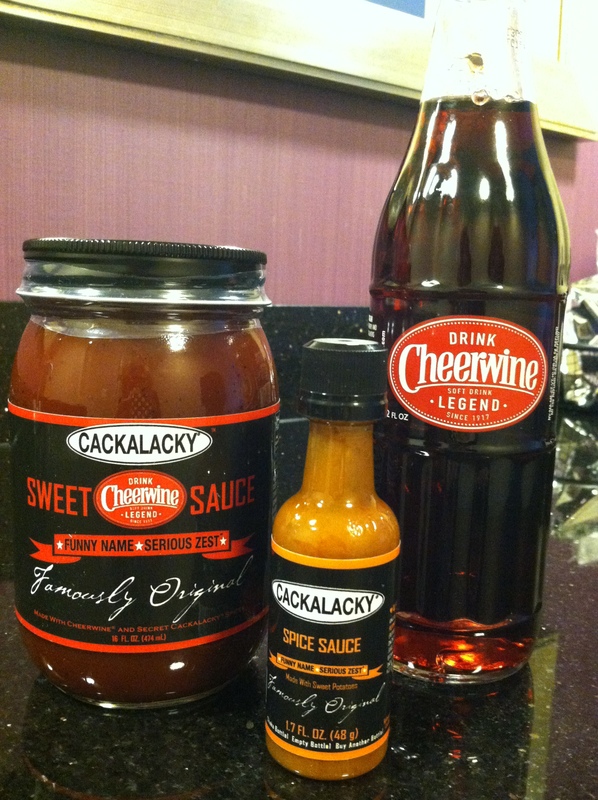 The creative and oh so, innovative, Page Skelton, creator of the Cackalacky brand, first crafted his original zesty, award-winning Cackalacky condiment, dip, and topping from North Carolina-grown sweet potatoes and began to market it ten years ago. The “famously original” Cacklacky Spice Sauce debuted in 2003.
condiment to all Costco locations throughout North Carolina. Heirloom Restaurant – Its Farm to Fork in the Coulwood neighborhood of Charlotte. Chef Clark Barlowe, a relatively recent graduate of Johnson & Wales with a ton of top notch creds, has a mission to serve hyper local cuisine as the focal point of his new restaurant Heirloom. And finally, the much anticipated Fahrenheit Restaurant at SKYE Condominiums in Uptown Charlotte. Owned by Chef Rocco Whalen, the Queen City sister restaurant to Whalen’s Cleveland, Ohio Fahrenheit will open in Charlotte NC on Monday, March 3 at 4pm. The restaurant is located at 222 South Caldwell Street, at the corner of Third and Caldwell Streets, but you must look up from the entrance of the Hyatt Place Hotel to see Fahrenheit Charlotte, as it is located on the rooftop of this unique mixed used development. The spacious 8,600 square foot restaurant is beautifully dressed with distressed wood tables, quartz columns and ultra modern light fixtures. Private dining facilities are fit with the latest technology, should a private lunch or dinner business meeting feel the need, and allow seating for up to 60. A spectacular ceiling mural of the Fahrenheit logo greets guests as they step off the elevator onto the 21st floor and glass walls surround the restaurant on all sides. The “walls” off the bar, open up to the roof area patios and herb gardens with 360 degree views of Charlotte. Fabulous outdoor linear fire pits surrounding the restaurant add to the immediate experience of the truly incredible panoramic view. Not only is the Fahrenheit layout a must see, but Chef Whalen’s menu is a must try. 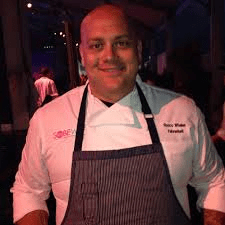 I was fortunate to have a “First Bite” tasting several weeks ago, when the restaurant space was still under construction and Whalen’s way with flavor and his well-honed skill and technique are spot on. The menu focuses on American regional cuisine, with Mediterranean and delightful unexpected Asian accents which will keep your taste buds popping. Whalen incorporates local, seasonal and sustainable ingredients. New to Charlotte and continually traveling back and forth from his Cleveland enterprises, Whalen has worked hard to develop relationships with many local North and South Carolina purveyors. Fahrenheit Charlotte will be open daily for dinner and happy hour beginning at 4pm starting March 3, and will host many specialty events on location and throughout the community. Charlotte diners can look forward to everything from Food Network Cookbook Dinners, where guests will receive a signed s cookbook to unique Food Truck events, featuring specialty recipes, celebrity guests and local food purveyors. 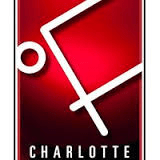 This April restaurant is participating in the 25th Anniversary of Charlotte Wine & Food Weekend 2014 with a Vintner Dinner, paired with Bure Family Wines on Thursday, April with the anticipation of everything Fahrenheit would bring to Charlotte, this event is already a sell out! 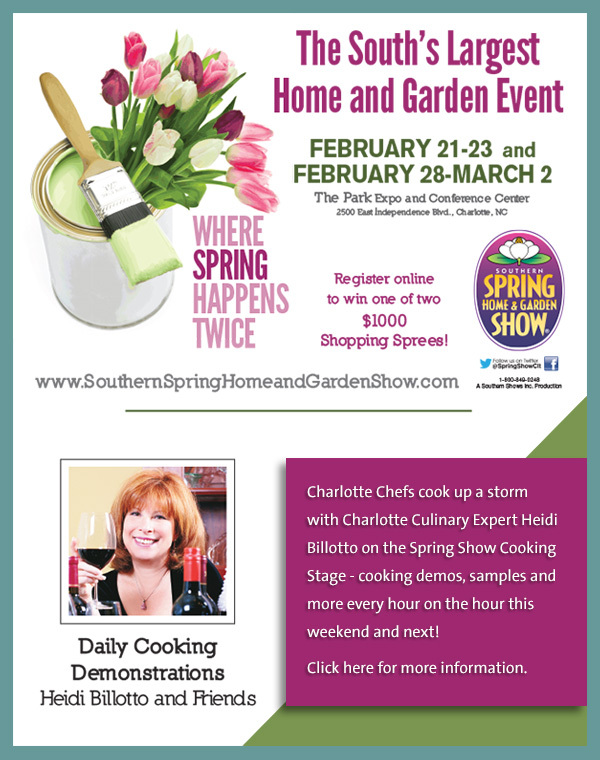 2014 Southern Spring Show Cooking Stage – Feb 28 -Mar 2 marks the second weekend of the Southern Spring Home and Garden show here in Charlotte at the Park Expo and Conference Center at 2500 East Independence Blvd. I have had the pleasure of hosting the cooking stage for several years in a row and this year the line up of chefs with me on stage doing back to back cooking demonstrations every hour on the hour has been incredible. Great fun, you should definitely plan on coming out and spending some time with us at the show this weekend. This year, No more paper at the Southern Spring Home & Garden Show cooking stage – or at least less paper – we’ve gone digital! This weekend’s cooking stage schedule and recipes from last weekend up online at CharlotteLiving.com! Just click on the photo of yours truly on the Charlotte Living magazine home page at www.CharlotteLiving.com! Links will take you to the complete schedule of chefs for this weekend and at the end of each day, to the recipes these talented chefs presented. The recipes from the chefs who appeared onstage last weekend – Chef Paul Verica from Heritage Food and Drink, Chef Paul Ketterhagen from Carpe Diem, Chef Tim Groody from Fork!, Chef Jon Fortes from Mimosa Grill, Chef Greg Collier from The Yolk, Chef Ben Philpott from Block &Grinder, Chef Nathan Volz from the Ritz-Carlton, Chef David Moore from the Gallery at Ballantyne Hotel and Lodge and more – are now up and available at CharlotteLiving.com – Enjoy! Now you can enjoy the wonderful all local donuts I told you about months ago at several locations around town. These truly gourmet donuts are made with locally sourced ingredients, including organic, NC grown flour milled at Lindley Mill, grass fed dairy from Homeland creamery, pastured eggs from Bell’s Best Berries, and the donuts are fried in freshly rendered leaf lard from The Naked Pig! On the weekends Your Mom’s Donuts are now a fixture on the breakfast and brunch menus at Chef Chris Coleman’s The Asbury at the Dunhill Hotel and you can also get them on Saturday mornings a the Atherton Mill & market location of Not Just Coffee. Let Courtney and Benjamin know by 4:00 the day before you want them as donuts are made every night fresh for delivery! 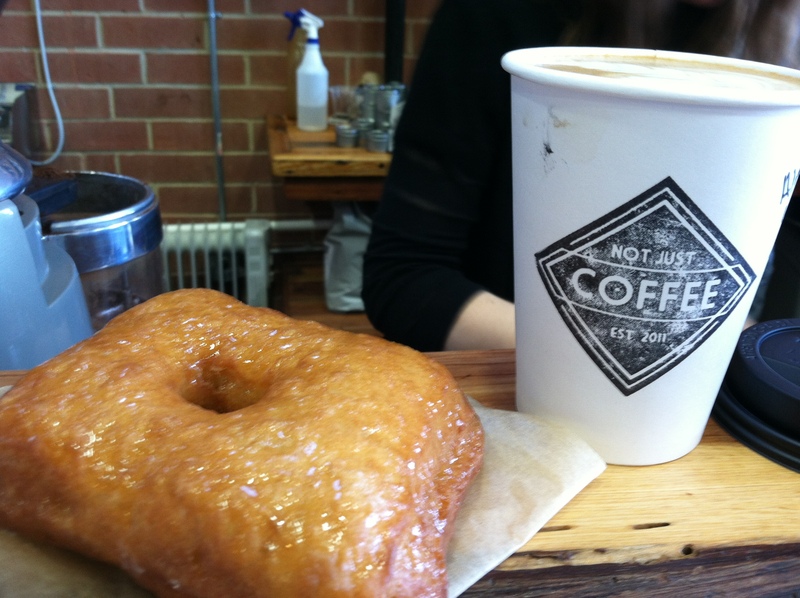 Check out Your Mom’s Donuts Instagram or Twitter feeds – @yourmomsdonuts – for updated pictures and weekly flavors.